Mr. Khazansky is a principal and chief operating officer of PSG Lending. Mr. Khazansky is responsible for the day-to-day operations, marketing, underwriting, and asset-management of PSG Lending. 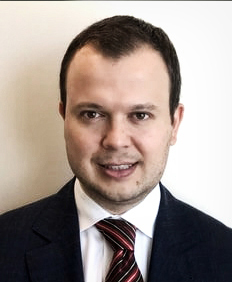 Mr. Khazansky has extensive experience in the Baltimore real estate industry, with a focus on sourcing and underwriting PSG Lending's $180m loan opportunity pipeline since 2015. Mr. Khazansky's prior experience includes a Vice President position at Marathon Asset Management, where Mr. Khazansky expanded the loan portfolio by identifying over $50 million of loan investments in the primary and secondary issuance markets through fundamental credit analysis and relative value comparisons. Mr. Khazansky holds a B.A. from Loyola University in Maryland, and M.B.A. from Duke University.